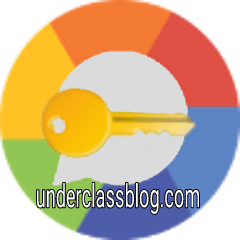 www.underclassblog.com — Your best companion to Theme WhatsApp to your liking. 1. Primary Theme : Choose Primary Colour and Accent Colour and leave everything else to US. We will create an exciting combination of these to colours to theme your WhatsApp. 2. Own Creativity Theme : Want full control over how your WhatsApp look like? No problem at all. We too feel the same. Bring out the artist inside you and create your own combination of colours to theme your WhatsApp. 1. Input Circle Shape[Only till Kitkat, Sorry Lollipop Users]. 2. Message Indicator Shape[Colour too in Own Creativity Theme]. 4. App Name : Change WhatsApp Name to your liking. Free to use, limited access to features. Same as 15 days trial version except that there's no time limit for it. Fixed the avatar FC issue in indivisual as well as group chat. Disabled/removed- Own avatar option temporarily. Disabled/removed- CallUI Background color picker temporarily. Note: we are working on the bug fixes hence some features have been removed temporarily, we hope to activate them soon. All android 6.x users are requested to ensure grant of permissions especially Storage. NOTE: If you experience difficulties with downloading Ultimate WhatsApp Theme Engine (UWTE) Full 5.4.7 APK from given links below, please try to login first to those file hosting before download (it's free to create an account), make sure to uncheck "Use our download manager and get recommended downloads" or similar, if any.